Can Defensive Driving Courses Reduce Road Accidents? You are at:Home»Lifestyle»Can Defensive Driving Courses Reduce Road Accidents? Road accidents are among the leading cause of death for people between age 15 and 29 years, according to the WHO website. Other than this being a huge economic loss for most countries, such a situation means the loss of potential movers and shakers of the economy. In order to safeguard the lives of their citizens, most countries will tend to come up with stringent traffic safety rules where anyone who breaks them would face high penalties. When an accident happens, some victims find themselves on the wrong end of the stick, yet the fault was someone else’s. This means that following safety rules is never enough to keep you safe on the road as you might find yourself injured due to someone’s recklessness. Taking a course like defensive driving could easily help you evade accidents by teaching you to be an intuitive driver. 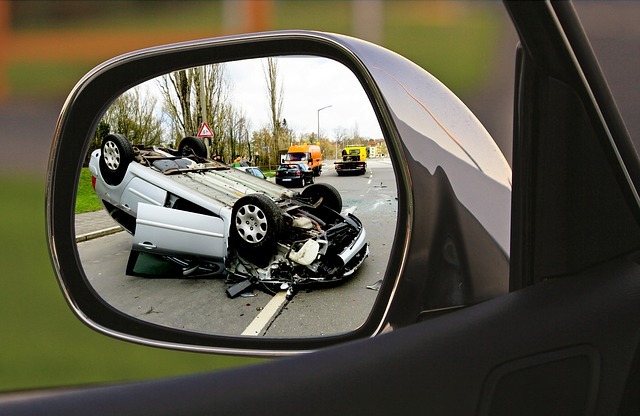 As much as safety rules are meant to mitigate road safety risks, they do not account for the exact situation that a driver might be in when an accident occurs. While reckless driving almost primarily causes accidents, other factors such as inclement weather and damaged road surfaces might increase the chances of an accident happening. Defensive driving is a course that is meant to enrich drivers with the ability to counter such scenarios intuitively. You, as a driver, can get to learn the best course of action when driving on a slippery road or even in the rain, according to the Driving Guide website – a road safety company. Additionally, in case you notice a reckless driver, enrolling in a defensive driving course will ensure that you are ready to face the challenge and escape with your life. Cases of drivers driving under the influence of drugs claim multiple lives every year. While different drugs tend to affect judgment in varying ways, the potential threat that they pose can be detrimental to the lives of the abuser and the innocent victims. Defensive driving courses aim at educating drivers on the effects that drugs have on their safety. Since most states have a legal limit for blood-alcohol levels while driving, then the course can help educate you more about the limit that your state has set. Additionally, you can learn about the legal consequences of driving while intoxicated. Safety equipment has a pivotal role to play in determining the outcomes of a road accident. In fact, the CDC confirms that wearing a safety belt while driving can reduce the risk of injury during an accident by 50%. Other examples of safety equipment include airbags, headrests and child safety seats. Following the recommended safety tips when driving is important. While the common idea is that everyone understands how to use these items, you might be surprised that many people who know pretty little about the need for such features, especially new drivers. A defensive safety course will help you learn more about these safety features and how to use them to your advantage. Most accidents can be prevented only if the stakeholders react to the potential hazards before it’s too late. Knowing certain information about your car – such as its reaction and stopping distance – could mean saving multiple lives on the road. A defensive driving course can help educate drivers on vital accident prevention techniques. Some of these techniques include learning about the two-second rule when following a vehicle and identifying the safe passing distance. Others include how to share the road safely and how to handle common vehicle emergencies. There’s no silver bullet to stopping road accidents. While defensive driving courses aim to mitigate these accidents, they can by no means make the problem obsolete. They will only influence road safety optimally if the drivers make use of what they learn through the course.